As much as I like to fly, the prospect of being on a 12 hour flight during the daytime (when I probably won't sleep much) makes me a little apprehensive. I have ants-in-the-pants-syndrome; it is very difficult for me to remain seated for extended periods of time. 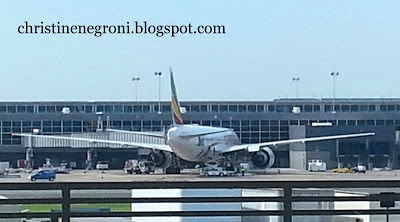 So Wednesday morning, before I boarded Ethiopian Flight 501 from Dulles International to Addis Ababa, I decided to tire myself out with a good, long strenuous power walk. I have the perfect playlist for this, assembled by my music-loving sister Lee. Setting out from the Dulles Airport Marriott, I was thrilled to discover I could go all the way to the airport, walking the whole length of the soaring 1960s era Eero Saarinen terminal building, beyond the D2 Dulles construction site, to Signature Aviation's very active flight support area. As I circled back to the hotel with Bette Midler’s hopped-up rendition of Mambo Italiano pumping through my headset, I was more pleased to find a beautiful pond behind the building and a walking path in the woods alongside it. 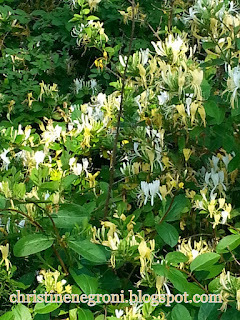 The paved trail was lined with blooming honeysuckle - not the red variety that doesn't smell but the pungent, white and yellow ones. 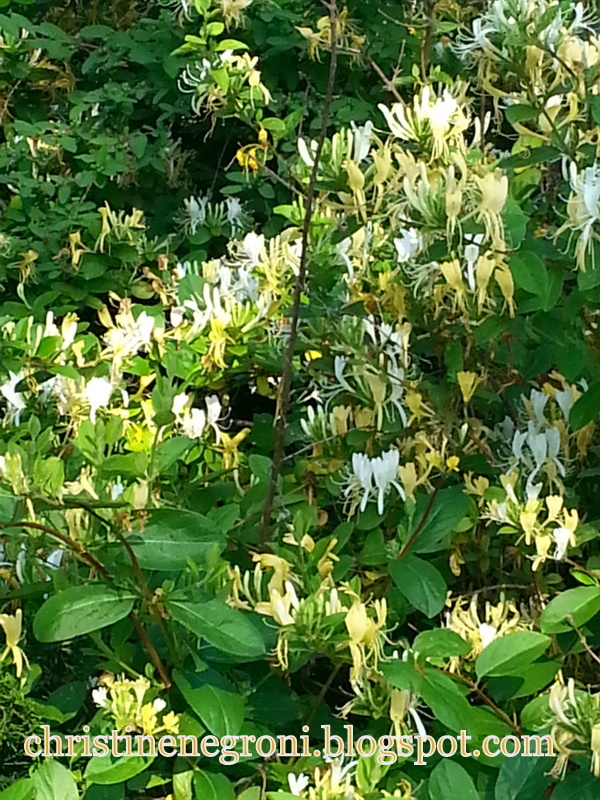 The air was full of their scent. Bunnies hopped through the underbrush and a family of ducks at the water’s edge skedaddled when I approached. Towering above what could have been a scene right out of the movie Bambi, was the airport’s air traffic control tower. 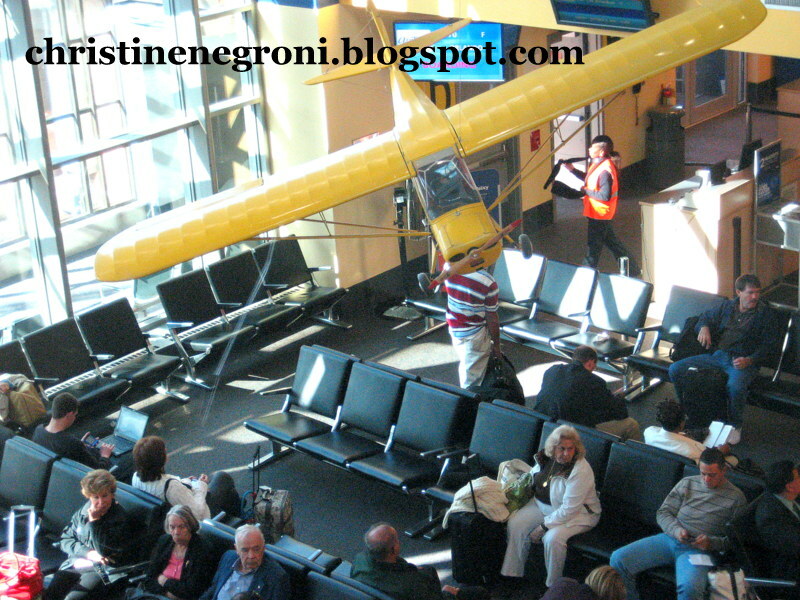 By their nature, airports offer a display of airplanes and the pleasant anticipation of eminent travel. And sometimes at some airports - as I was reminded at Dulles - there can be unexpected treats. The sign at the base of the hill leading up to Sedona Airport says something like: The world’s most beautiful airport. You don’t need a sign to figure that out. 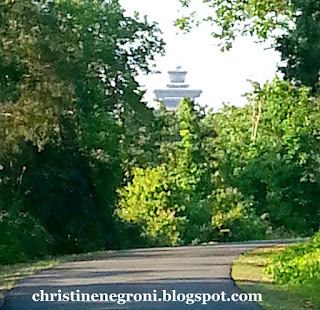 The airport is inside one of the region’s notable hiking trails. Across from the parking lot, Sedona’s magnificent buttes provide background to the tile roofed homes and adobe style shops in the commercial heart of town in the valley below. Talk about your ancillary revenue, far more people visit the lookout than actually fly from the airport and the locals take advantage of the tourists by asking for donations at the entrance to the overlook. Go ahead, cough up a fiver. And if you want to spend more, the airport restaurant Mesa Grill commands an equally spectacular view. I didn’t plan to visit the Provincetown Municipal Airport when I took my new (used) Dahon folding bicycle with me on a weekend road trip to Cape Cod in May, because I didn’t know there was an airport located on the National Seashore bike trail. But there it is. Provincetown’s population swells and contracts with the seasons and now, with the summer population boom about to begin, Cape Air, the little airline with the big reputation has added flights from New York to its schedule.I hopped off my bike at the fence to have a better look at the airfield and moments later was rewarded with the arrival of the new flight from Westchester County Airport. 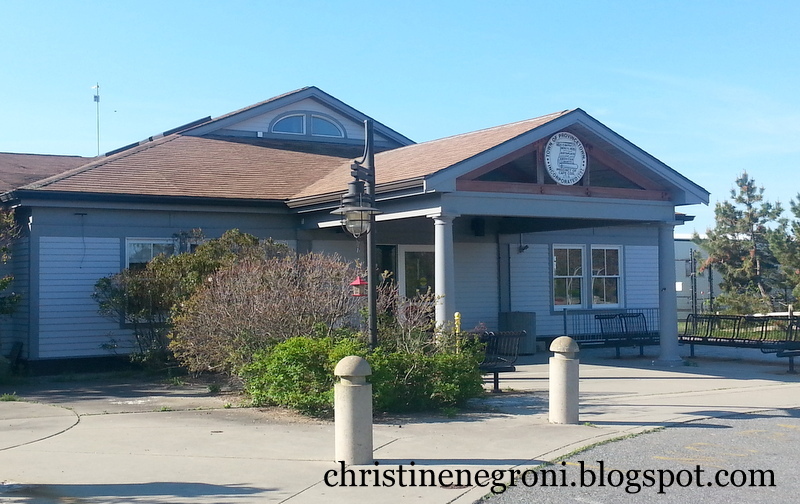 And while we are on the subject of Westchester Airport (full disclosure this is my hometown airport) I have many memories of bringing my children here to the rooftop observation deck. 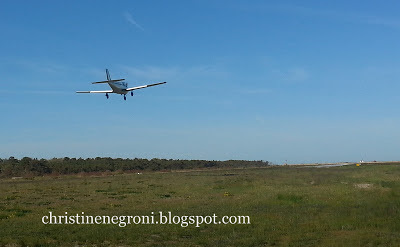 For a small airport it has an impressive variety of airfield activity; business jets, flight training, helicopter operations, regional and narrow body airliners and sometimes even blimps are parked there. Inside the terminal, historic planes are suspended from the ceiling. 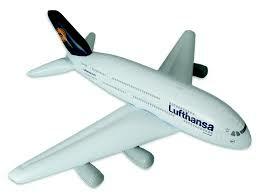 That will get anyone in the mood to fly. Granted, there’s a lot of beautiful scenery in New Zealand, particularly in the Marlborough region on the northernmost point of the South Island where the country’s famous Sauvignon Blanc grapes are grown. This makes the view from the passenger waiting area at Marlborough Airport spectacular, expanses of vineyards in the valley, purple mountains rising up behind them. The scenery is so sensational, in fact, one might be tempted to remain there all day. Don’t. Within walking distance of the airport is the Omaka Aviation Heritage Center, a project under the partial charge of movie director Peter Jackson. Spend a great morning here, head to the winery next door for lunch and be back at the airport for a flat white (coffee) and Afghan (cookie) from the teeny tiny airport snack bar which I recommend you consume while looking out the window. Just don’t miss your flight. 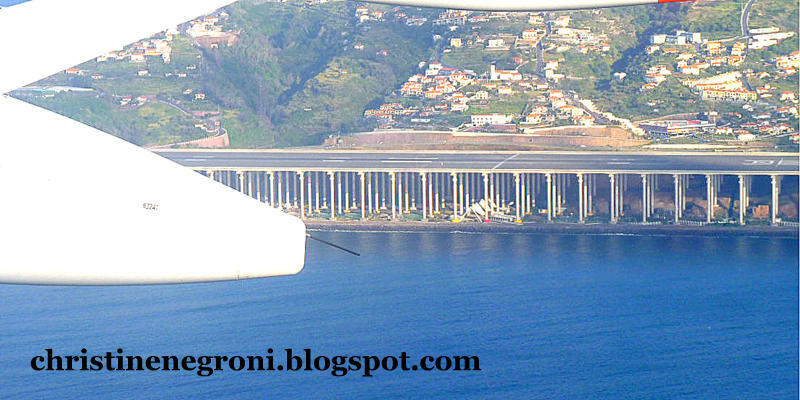 The runway at the airport in Maderia’s capital city of Funchal is the must see attraction for aviation aficionados. It is an engineering marvel located where the mountains meet the ocean and perched on 180 columns each one 70 feet in height. The best way to see this is not on foot or on a bike, but on the approach by air or by boat. This airport in Bergamo is one of the many mid-sized airports like Providence and Pisa, that over the years has seen its fortunes rise, fall and rise again. Bergamo’s new life is credited to low cost carriers like Ryanair and Wizzair, airlines that were encouraged to enter the market with economic incentives. It’s a controversial issue and I’m not weighing in on whether these tactics are right or wrong. 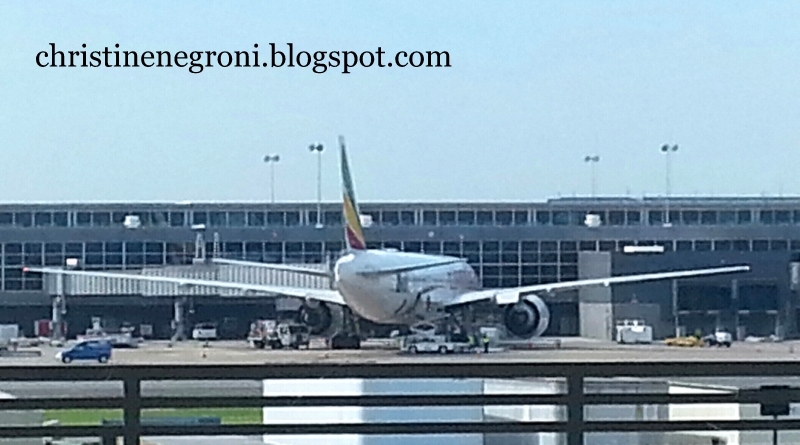 I will say that Bergamo’s airport has a story book charm; typical airport hustle and bustle on a manageable level. Just 3 miles from the historic center of town, I borrowed a bike one morning and rode out to the airport, pedaling past ancient stone buildings and along a path through a natural wetlands. 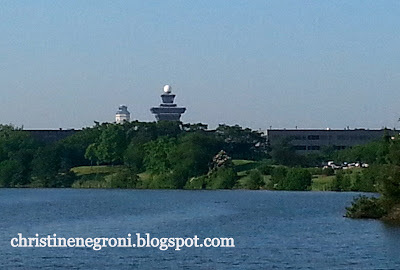 Yep, I’m a sucker for any airport I can ride a bike to, so in closing here are a few cities where finding a bike and finding the airport are easily accomplished. 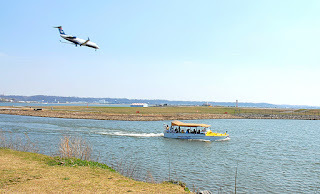 Haneda Airport – There are many places to rent bikes in Tokyo and a ride to Haneda Airport passes a splendid observation deck where fellow bike riders and aviation photographers gather on the platform to watch the jumbo jets landing and taking off right across the water. Ronald Reagan Washington National – Washington DC now has Capitol Bike Share stations throughout the District and Virginia where so it is easy to get on the Mt. Vernon Trail leading to the airport. As in Tokyo, the route goes right by a park that’s perfectly positioned for photographers. 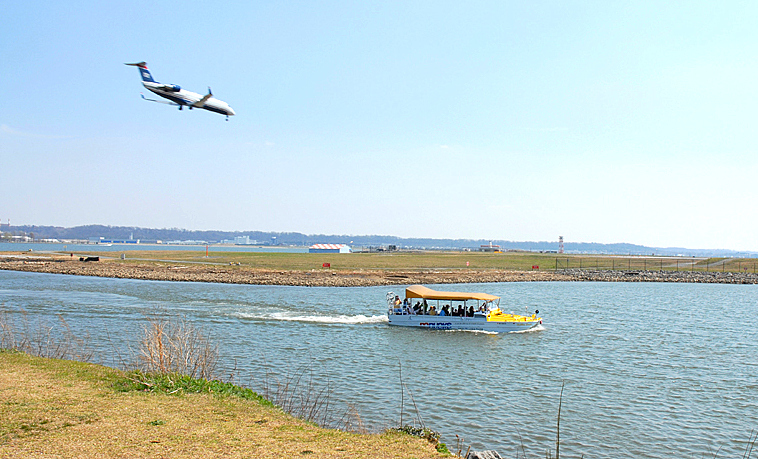 Multi modal treats are in store; planes overhead and amphibious DC Duck Boats drive right into the water. Copenhagen Airport - Residents can be blasé bike riding in Denmark. Visitors will be impressed by a biking infrastructure that not only makes it easy to pedal from place to place, there’s plenty of parking for your bike when you arrive. If you find yourself too tired to bike the 8 miles back to the city, they are welcome on the train. The rail line into the city is located on the second level by the airport hotel. Bikes on the train to the airport. How great is that? Glad to hear you like our little airport, here in Marlborough. I'm lucky enough to live, work and fly in the region, and feel truly privileged to do so.